Karin played with numerous New York bands before coming to Connecticut. She was a featured vocalist with the renowned Eight to the Bar, touring with the band for four years. She recorded two albums and the video “Swingin’ School” (featured on VH-1) before leaving to form The Cartells. 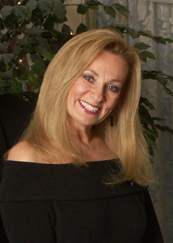 Karin can also be heard in numerous local and national commercials. Tom’s guitar work can be heard on the “Blind to Reason” album by RCA recording artist Grayson Hugh, with whom Tom toured for two years. He’s appeared on NBC’s “Today” show as well as concert stages nationwide. 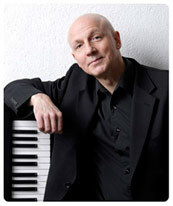 Tom’s original material has twice earned him recognition in Billboard Magazine’s songwriting competition. In addition to his work with The Cartells, Tom is also engaged as an instructor of guitar studies at the Hartford Conservatory of Music. 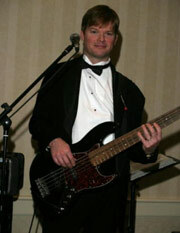 Not only does Bill play every brass and wind instrument ever invented) but is also proficient on bass and keyboards. 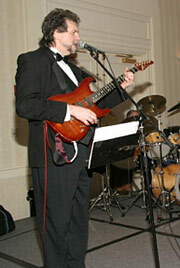 In his 25 year career Bill has recorded and/or performed with Bruce Springsteen, Nile Rodgers (Chic), Paul Simon, Diana Ross, Blood, Sweat and Tears, Slash (Guns and Roses), Steve Winwood, Elton John, Steven Tyler (Aerosmith), Michael Bolton, Simon Le Bon (Duran Duran), Patti Labelle, the B52′s, Faith Hill, Les Paul, The Fab Faux, Larry Gatlin & the Gatlin Brothers, as well as the late guitar legend, Danny Gatton. 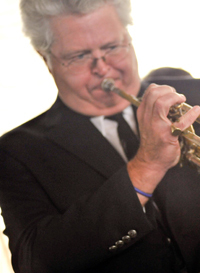 Bill also composes and produces music for TV shows and films including HBO, CBS Sports, ESPN, and Inside Edition, and has been the featured soloist on TNT’s “Nascar awards show”, ESPN’s “The Espys”, and “The Guiding Light” on CBS. In his home studio, he records horn section tracks for clients all over the country (playing all the horns himself) as well as producing jingles and other custom music. 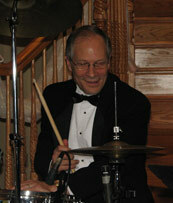 nationally known show and dance/concert bands such as: The Fabulous Downbeats, D.D. Smith & Co., The Spiral Staircase, Main Street, South Street and Mr. Big. Peter spent 6 years in LA performing on movie recordings and studio recordings of various artists. His performing took him on worldwide tours before moving back to CT.
Jay Wiggin (Bass Guitar) is a multi-instrumentalist and classically trained vocalist. Upon graduating from the University of Connecticut’s School of Music, he taught elementary/middle school music. In addition to numerous recording sessions, Jay has played many stages touring the United States and Japan. Highlights include a concert at Carnegie Hall, and performances as a bassist with Sesame Street’s Bob McGrath, Peter Tork of the Monkees, Dance Fever’s Deney Terrio, and Nashville recording star, Billy Gilman. 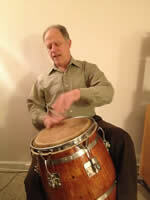 Jose has played Latin percussion since 1972. He has played with many local Blues, Fusion, Jazz and Latin artists since coming back from LA where he played with several Latin bands. He has recorded on two nationally released Jazz albums, Marion Brown and Jay Hoggard, and is presently working on several recording projects. At the moment he is playing exclusively with the Cartells. Sign-up to get updates including our gig calendar!